It was during the Boer War of 1899-1902 that the British army first began to adopt khaki drill (KD) uniforms on a mass scale. 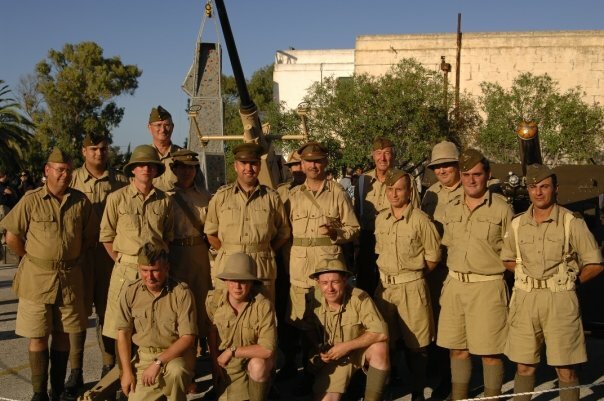 The scarlet woollen tunics worn up until then by British soldiers proved extremely impractical due to both the heat of South Africa, and the advent of the bolt-action rifle. 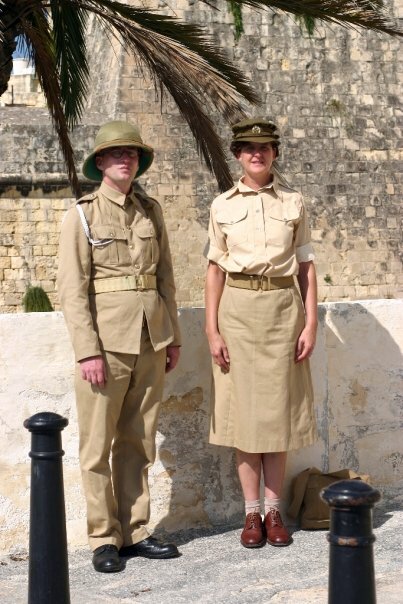 For the British army, which spent much of the 19th and 20th centuries fighting colonial wars in tropical climes, the lightweight, neutral coloured (khaki is an Indian word for dust) cotton uniform quickly proved itself both practical and popular. 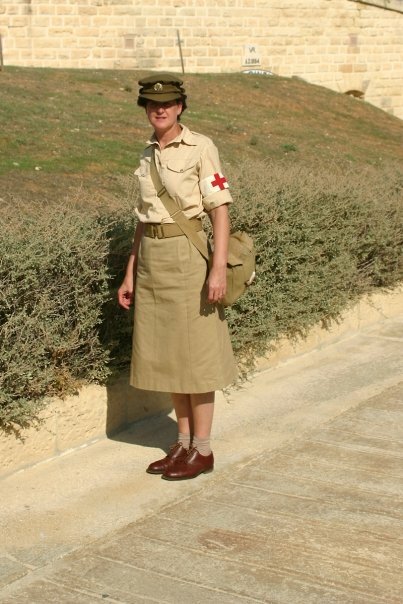 The first Khaki Drill uniforms copied army service dress, but these were soon joined by further garments more suitable for fighting in the field. 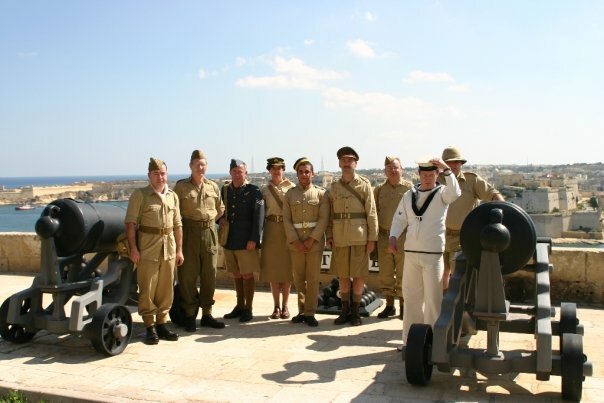 By the outbreak of the Second World War, British soldiers, sailors and airmen serving overseas were being issued KD trousers, shorts and aertex shirts. As with battledress, the exact cut and style of these clothes altered subtly over the course of the war as changes were introduced, both to improve the design and use less fabric. From the start, KD proved itself a success. Not only was it comfortable to wear and easy to launder, when starched and pressed it also looked extremely smart. For these reasons KD remains popular with re-enactors, who are well served by a wide selection of relatively inexpensive reproduction items. 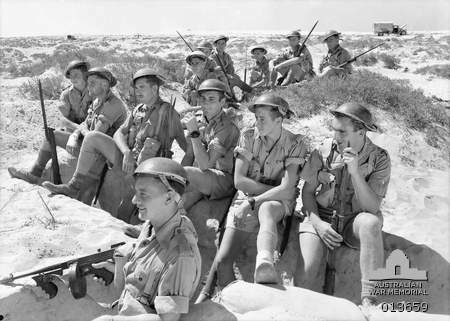 Archetypal 'desert rats' wearing KD, in this instance Australian troops (23rd battalion) in North Africa, November 1942 (photo: Australian War Memorial). The men in back areas discarded all possible clothing and some even took to wearing the wide-brim Sicilian straw hat. I well remember an incident that occurred one day as I was driving in my open car up to the front. 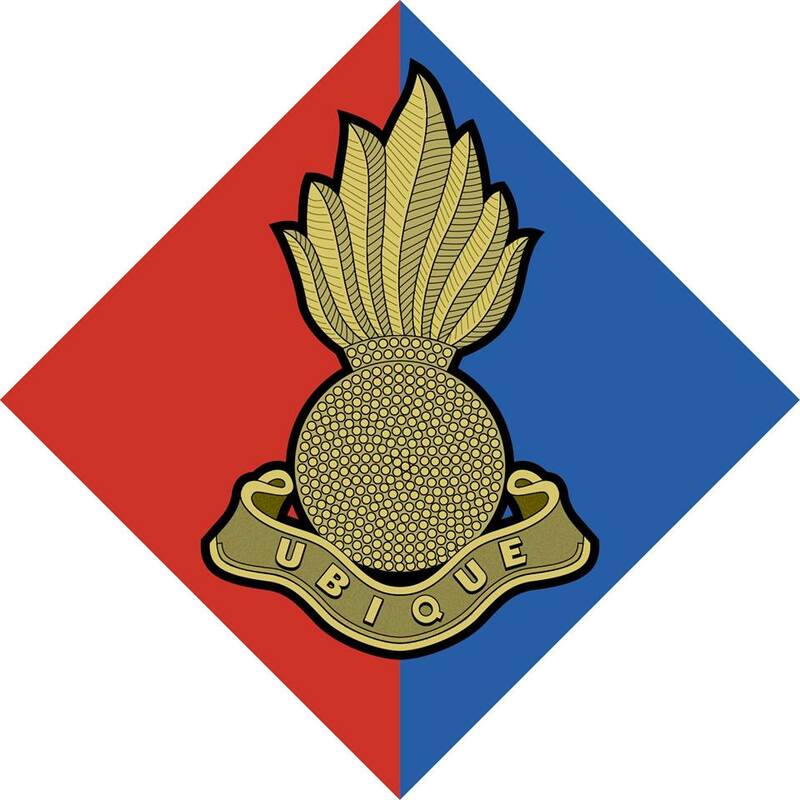 I saw a lorry coming towards me with a soldier apparently completely naked in the driver's seat, wearing a silk top hat. As the lorry passed me, the driver leant out from his cab and took off his hat to me with a sweeping and gallant gesture. I just roared with laughter. However, while I was not particular about dress so long as the soldiers fought well and we won our battles, I at once decided that there were limits. When I got back to my headquarters I issued the only order I ever issued about dress in the Eighth Army; it read as follows: "Top hats will not be worn in the Eighth Army". And that seemed to sum it up nicely. When fighting in the desert, the Army wasn't overly concerned with what its soldiers wore (with the exception of top hats) provided they fought well. 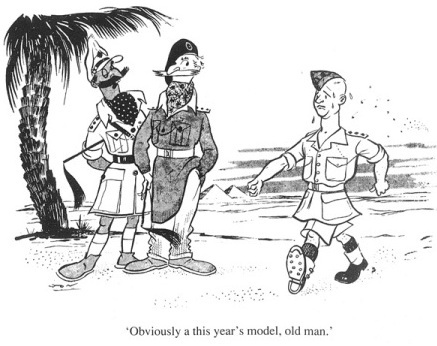 The best introduction to the subject of KD is Martin Brayley and Richard Ingram's book Khaki Drill and Jungle Green: British Tropical Uniforms 1939-45 in Colour Photographs (ISBN: 978-1847971098) which is still in print and widely available.